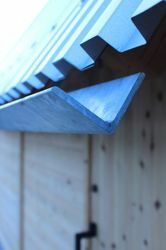 BLOCAN® aluminium profile systems – the assembly system without machining.The true calibre of a profile is characterised not by the profile itself but in the connection of the profiles to one another. Our years of application experience have enabled us to develop an industrial aluminium profile system that leaves almost nothing to be desired. Boundless creativity, maximum flexibility and proven reliability offer a broad spectrum of possible solutions for the task in question.No need for drill holes...these are held together without! 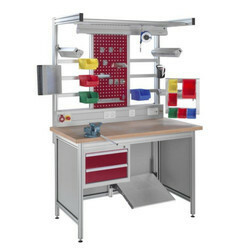 Simply cut the aluminium profiles to length and assemble them! That’s what this unique range of construction profiles was designed for. Clever connection elements free you from machines and equipment. The profiles are cut to length and assembled. And more than 100 different profile sizes and cross-sections can be easily assembled using this connection method. 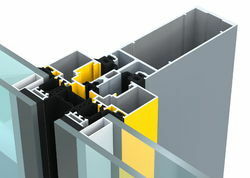 Looking for Phoenix Mecano ALUMINIUM PROFILES ?